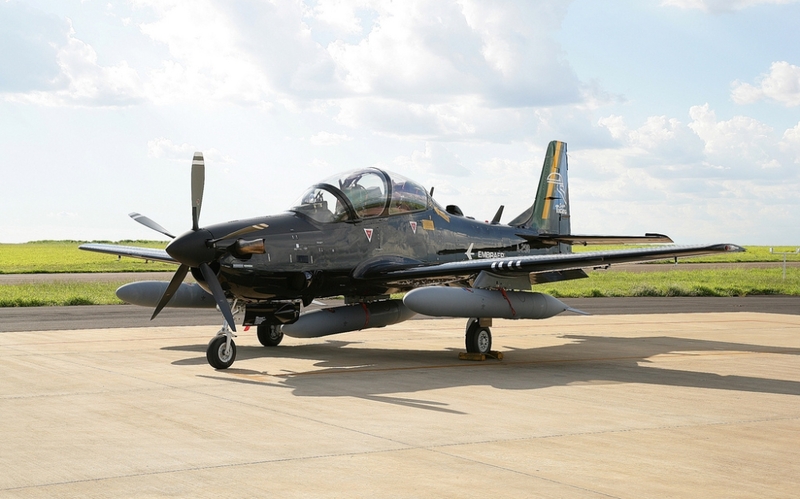 A Review of the A29 Super Tucano Fighter Jets - Photos and Videos - AutoReportNG "AutoReportNG-The No 1 Car Blog In Nigeria That You Can Trust - AutoReportNG"
In recent times, President Buhari has come under fire from different quarters over various issues one of which is his approval of the withdrawal of about $496million from the excess crude account. While some members of the National assembly have called for his impeachment, his media aide has tried to justify this action with claims that the President's actions were in most part due to the deadline from the US government. 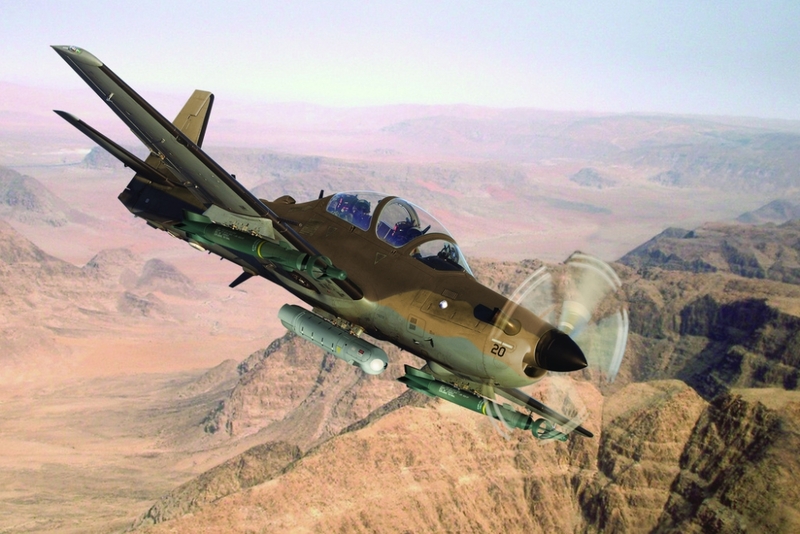 AutoReportNG decided to review the A29 Super Tucano fighter jet for which this money was approved and what makes it so special as to warrant the President breaking protocols to ensure the country purchases them. The review will amaze you. 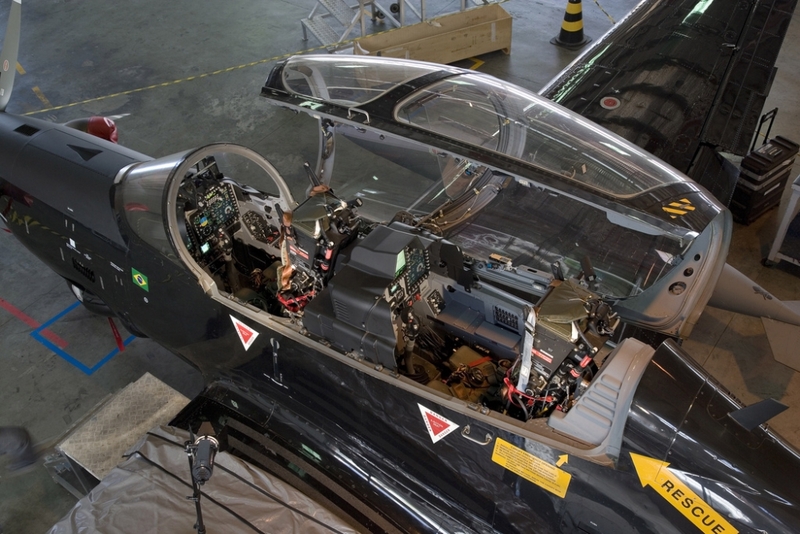 As fighters become more complex, the need for highly effective trainer aircraft is on the rise. 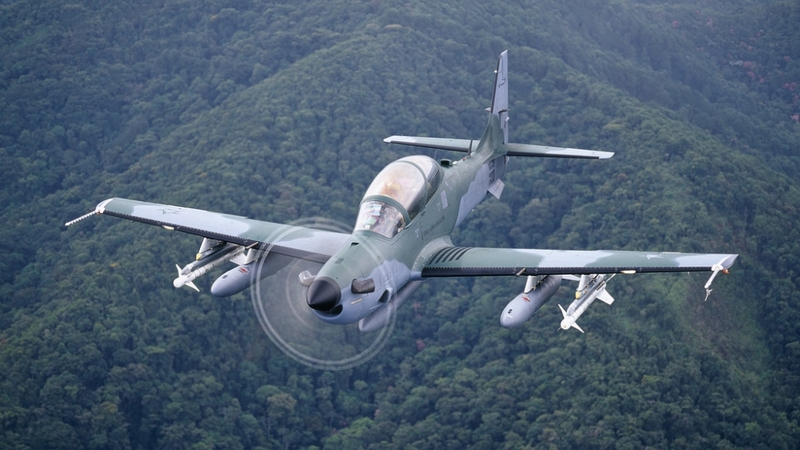 Embraer’s Super Tucano - a single-engine, stepped-tandem, multi-purpose military turboprop - delivers both training and operational effectiveness at low acquisition and operating costs. It offers advanced solutions for basic to early advanced and weapons familiarization training, such as in-flight virtual training, and also provides the superb operational characteristics required for successful internal security operation support and counter-insurgency (COIN) missions. The plane is manufactured by Embraer S.A. (EMBR3.SA), a Brazilian aerospace conglomerate. A second production line is in Florida, in a partnership between the privately-held, U.S.-based Sierra Nevada Corp. of Sparks, Nev., and Embraer. More than 200 Super Tucanos are operated by 10 nations, according to Embraer. The plane is used for training and security, surveillance, reconnaissance and counter-insurgency missions. The plane can carry a wide array of armaments, including precision-guided munitions, is equipped with advanced avionics, communications, and sensors and can operate from remote, unpaved airstrips. It has a maximum speed of 590 km per hour (367 mph) and a flight ceiling of 35,000 feet (6.6 miles). 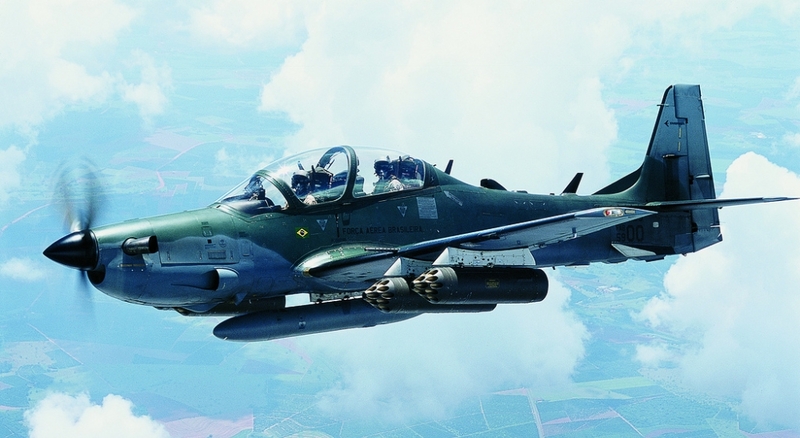 Militaries in Afghanistan, Angola, Brazil, Burkina Faso, Chile, Colombia, the Dominican Republic, Ecuador, Indonesia and Mauritania fly the Super Tucano. Guatemala, Senegal, Ghana, Mali, and Lebanon have ordered the aircraft, according to Embraer. 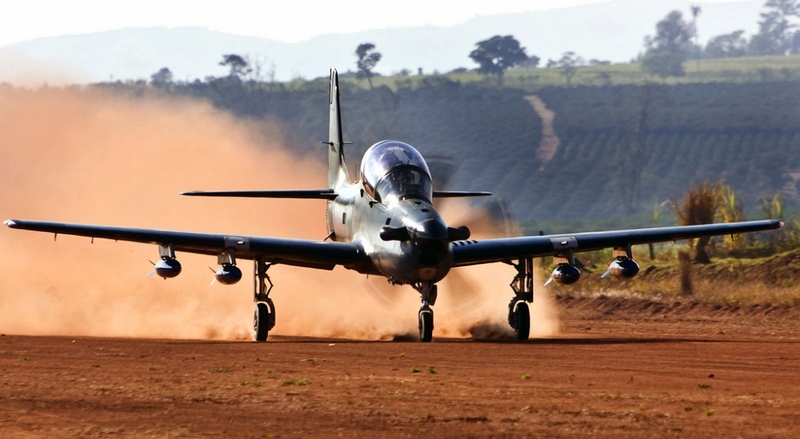 The Super Tucano costs more than $10 million each and the price can go much higher depending on the configuration. It is powered by a Pratt & Whitney (UTX.N) Canada PT 6 engine. Embraer declined to comment on the unit costs. 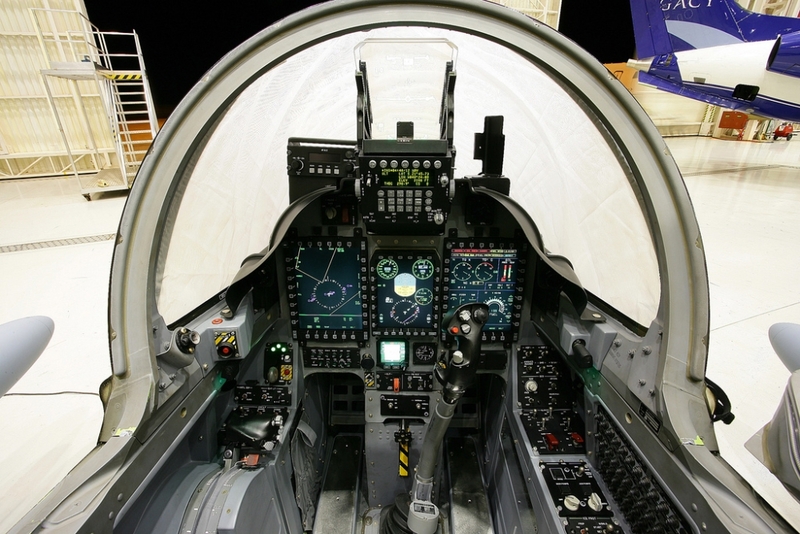 The aircraft is fitted with two central mission computers. The integrated weapon system includes software for weapon aiming, weapon management, mission planning and mission rehearsal. The onboard recording is used for post-mission analysis. The aircraft has five hardpoints for carrying weapons and is capable of carrying a maximum external load of 1,500kg. 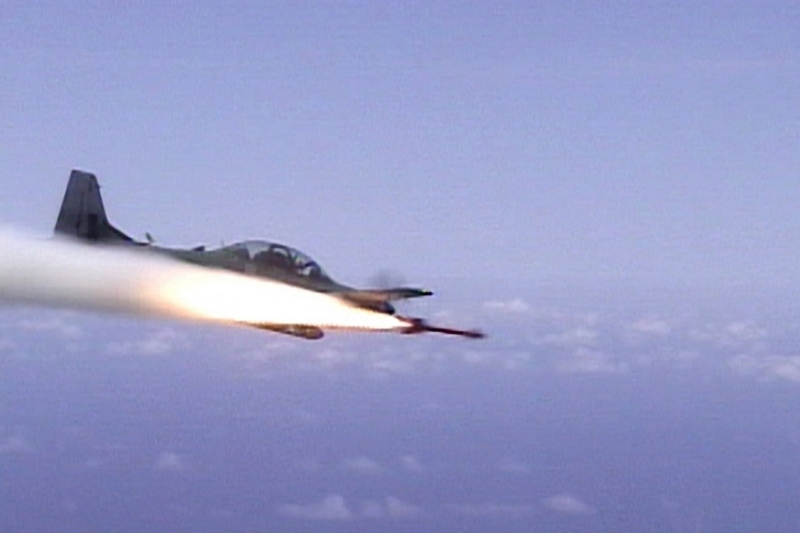 The aircraft is armed with two wing-mounted 12.7mm machine guns with a rate of fire of 1,100 rounds a minute and is capable of carrying general-purpose bombs and guided air-to-air and air-to-ground missiles. 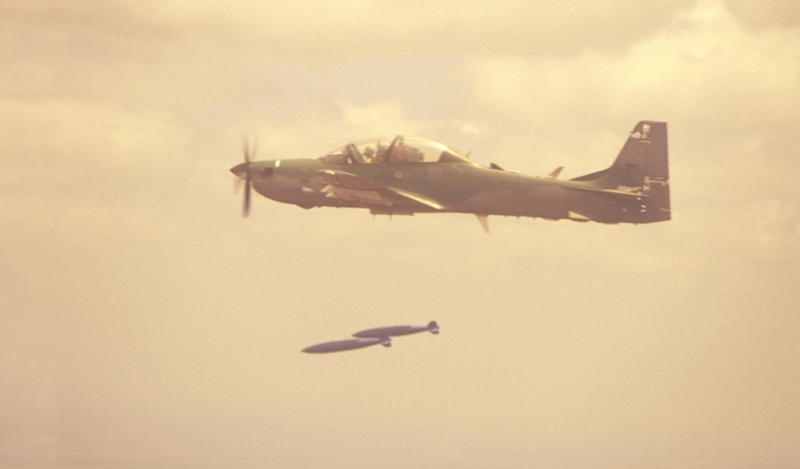 Brazilian AF aircraft are armed with the MAA-1 Piranha short-range infrared guided air-to-air missile from Orbita. The aircraft is equipped with an advanced laser inertial navigation and attack system, a global positioning system (GPS) and a traffic alerting and collision avoidance system (TCAS). The EMB-314 Super Tucano is powered by a PT6A-68A turboprop engine, developing 969kW. The power plant is fitted with automatic engine monitoring and control. The ALX aircraft has a more powerful engine than the EMB-314. The EMB-314 can fly at the rate of 24m/s. The maximum and cruise speed of the aircraft are 530km/h and 593km/h respectively. The range and service ceiling of the Super Tucano are 4,820km and 10,670m respectively. Its maximum endurance is six hours and 30 minutes. The aircraft weighs 3,020kg and has a maximum take-off weight of 5,200kg.